I spent a couple of hour today sweeping our chimneys. I do the job from on the roof & sweep them "down", as it gives a better clean & makes MUCH less mess in the house. 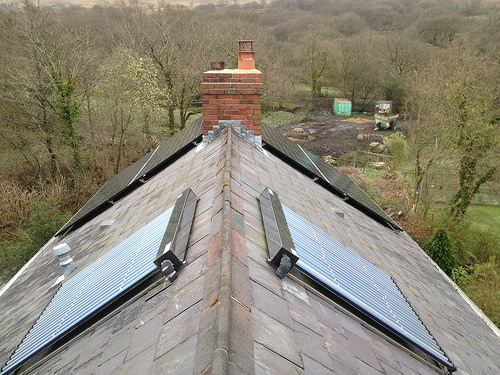 While I was there I grabbed a shot of our solar hot water panels & solar PV panels looking South from alongside the North end Chimney.